This includes a wide range of activities from pouring, transferring, threading, folding, polishing, cutting, laying a table, care of plants, working with dressing frames such as buttons, buckles, zips etc. All these activities assist the child to develop independence and concentration, as well as hand-eye co-ordination and fine motor control. These materials develop and refine the senses of sight, sound, touch, taste and smell. They provide the child with the basis of pre-mathematical and language skills. Work with the Sandpaper Letters ensures that the child develops phonic awareness through tracing the letter, seeing the letter and hearing the sound. The Insets ensure that the child is developing accurate pencil control for later writing skills. 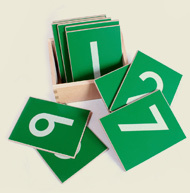 The Large Moveable Alphabet encourages the child to begin simple word building. All other materials help to support and develop basic grammar, language and reading skills. Again the Sandpaper Numbers ensures the child recognises numerals, whilst the Large Number Rods teaches him/her to count accurately up to 10. More advanced materials will be used when the child is ready, to enable them to explore number work up to 100, simple addition, subtraction, multiplication, and division. The materials in this area all help towards providing the child with a knowledge of Biology, Geography, History and Science. Through topic work the children will also have an opportunity to explore foreign languages and different cultures. Both indoor and outdoor using a variety of equipment. 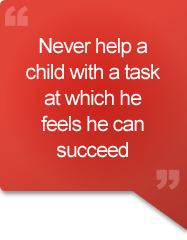 Through everyday activities and in all areas of the curriculum e.g. snack times, sharing leaves time, story sessions, lunch clubs, outdoors, the art area etc. Through music, dance, drama, art, role/imaginative play thus conforming with the criteria set out by the Education Department to provide the Early Years with a broad curriculum base. During our music sessions we follow the Kodaly music principles. We also have a weekly French Club for which there is an additional charge.